While working on the C2P light unarmored carrier, Polish technicians from BBT Br. Panc. (pol. 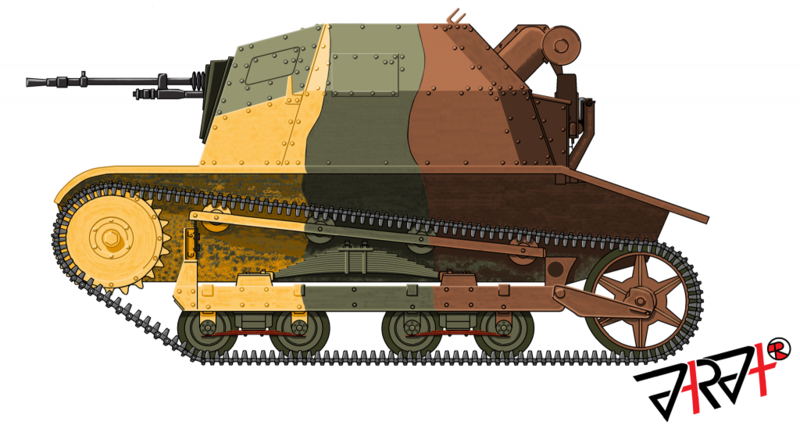 Biuro Badań Technicznych Broni Pancernej ; the Armored Weapons Technical Research Bureau ) started a project to build a TKS tankette with the undercarriage of this unarmored vehicle. The new undercarriage was very similar to that of the classic TKS, but it had new side clutches and bigger wheels at back. BBT Br. Panc. converted one TKS (number 1510) to the new chassis, as a prototype It was named TKS-B (“TK ze Sprzęgłami Bocznymi” – “TK with Side Clutches”) (sometimes written TK-SB or TK-S-B). These were the only differences between original TKS and TKS-B. The whole construction was still derivative from the Carden Loyd tankette of the 1920s. From the specifications point of view, the TKS-B was very similar to the TKS. TKS-B was armed with the wz.25 Hotchkiss (Mark 1925; modification of French Mle 1914 Hotchkiss) machine gun – it was the normal weapon for all Polish tankettes in this time. However, as the photos show, no machine gun was mounted on the prototype. TKS number 1510 was one of the first produced vehicles this type, so the prototype had the same armor arrangement as the first series (thinner than later series). However, the armor was made of regular iron, and not armor-grade materials. Additionally, the prototype had no the periscope, typical for the regular tankettes. The TKS-B was tested in the summer of 1936 and the trials were successful. In comparison with the regular TKS, the new machine had a higher maximal speed (from 45 to 50 km/h), was easier to maneuver and had overall better ride properties. Moreover, it was easier to drive and had better fuel consumption. The manufacturing company planned to convert all existing TKS tankettes to the TKS-B standard by exchanging of the undercarriage with the new one. 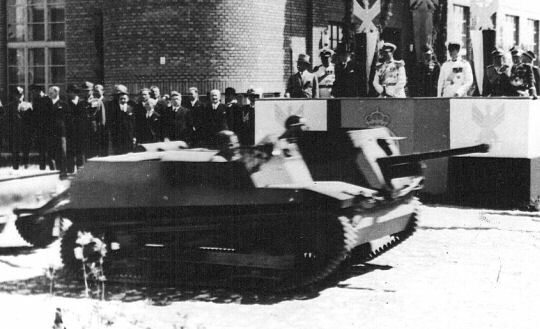 By 1936, production of tankettes in Poland had stopped, so conversions were the only way to realize the TKS-B project. The Senior Officers in the Polish Army rejected this idea. The cost of all these modifications was too big. 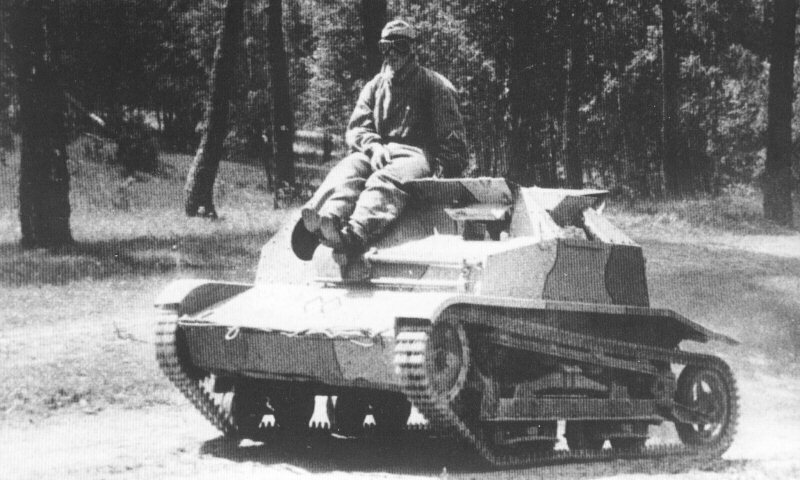 One conversion cost about 10.000 zł, while one standard TKS tankette cost 47.800 zł. Furthermore, tankettes had been considered as only temporary vehicles, without future. The TKS-B concept was rejected as unprofitable in favor of light tanks. 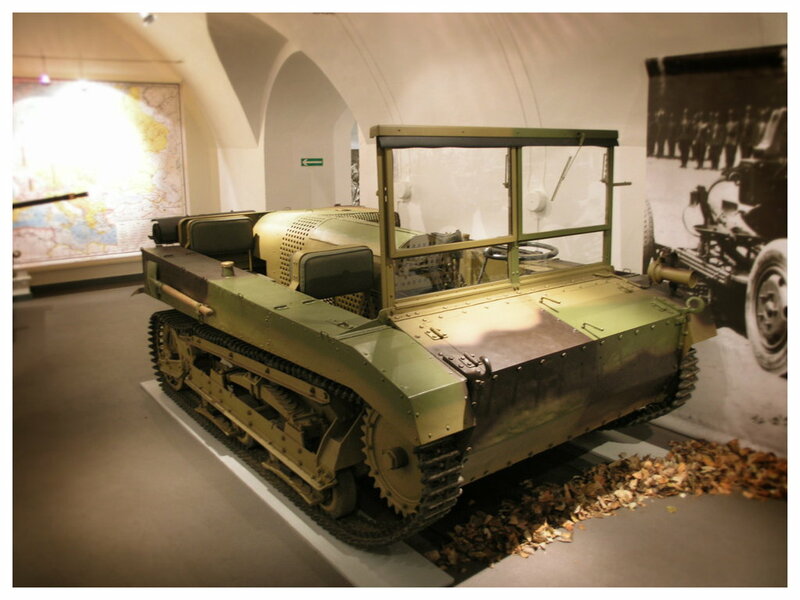 At the same time, there were also some plans to realize the two light tanks projects: 4TP (PzInż. 140) and swimming tank PzInż. 130. These machines could have been the successors of the TK-3 and TKS tankettes. However, the TKS-B vehicle was not scrapped. 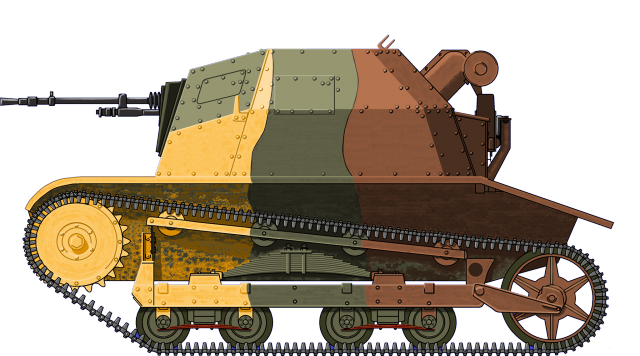 The single TKS-B prototype was used for other conversions; ultimately, in April 1937, it was reworked into one of the two TKS-D tank destroyer prototypes. Plastic model company Mirage Hobby created two myths about the TKS-B: that it was armed with a 20mm FK-A rifle and that the TKS-B was used against the German invaders in September 1939. Neither of these is true. The prototype of this machine had already been converted into the TKS-D when the FK-A rifle was introduced and War World II had started. The TKS-B in its sandy-green-brown camouflage and with a 20mm gun is only a “what-if” concept. The TKS-B prototype with its 3-tone livery – Illustration by Jaroslaw Janas. The artwork of the Mirage Hobby model kit of the TKS-B. It is incorrect. The TKS-B never mounted a 20 mm cannon. By the time that particular gun was developed, the TKS-B had been converted into the TKS-D.
Great illustration, Jaroslaw! I love the weathering below the tracks. As usual, great article, and well-written. I like both David’s and Jaroslaw’s artwork. Hope to see more tanks soon! Maybe the T2 Medium? Hope to see more Poles tanks soon! 22-25 tones mediums of KSUST and BBTBr.Panc.